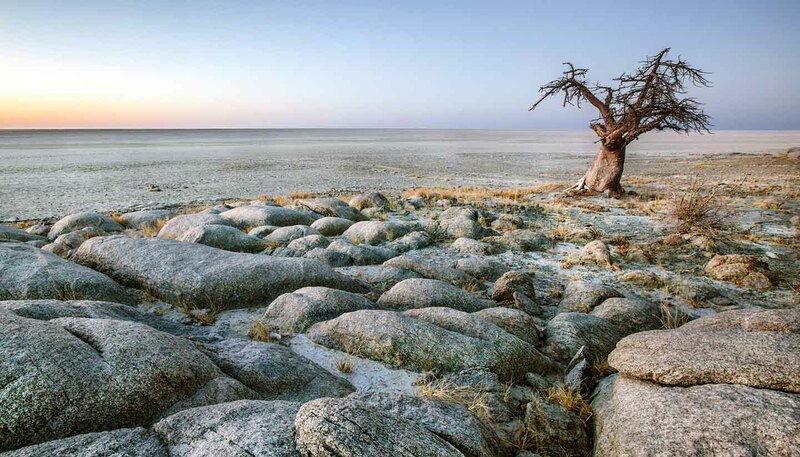 The first people to settle in Botswana were the San Bushmen, nomadic hunter-gatherers whose territories are also thought to have spanned present-day Namibia, Angola, South Africa, Zambia and Zimbabwe. Their influence is still evident in southern Africa, where these indigenous inhabitants eke out traditional lives as hunter-gatherer. Examples of their early rock art are also still visible across the region. From the 17th century the San Bushmen started to come under pressure from migrating Bantu tribes, who had migrated from sub-Saharan Africa. A further series of migrations followed and by the 18th century these migrants were firmly established in the southern part of Botswana, and had established a powerful military state controlling hunting, cattle-breeding and copper mining. The 19th century brought another period of upheaval, as inhabitants from the north of the continent, dislocated by slavery and the collapse of their local economies, moved to new territories. British colonialists and Boer settlers then came along and vied for control of Botswana; the local rulers allied themselves with the British against the Boers, and Botswana was eventually brought under British protectorate control in 1890, remaining so until independence in 1966. Popular Seretse Khama became the country's first president – a position he held until his death in 1980 – and subsequent elections have remained peaceful and democratic. In the late 1960s, diamonds were discovered in Botswana and became the primary driving factor for the country’s economic growth and independence. These riches have, unlike in other parts of Africa, helped the country become a veritable African success story. During the 1980s and 1990s, Botswana was an important player in South Africa’s apartheid struggle, providing refuge for a number of guerrilla fighters and political exiles. Today, Botswana’s key domestic priority is to tackle the AIDS pandemic. Botswana's infection rate, estimated at 25 per cent of the total population, is among the world's highest. For any persisting issues, under current president Ian Khama, first elected in 2008, Botswana continues to be a shining light of peaceful, non-racial, multi-party democracy on the African continent. • The Jwaneng diamond mine, located in the south of the country, is the world’s richest diamond mine. • The word lekgoa, which locals often use to refer to foreigners, literally translates as ‘spat out by the sea’. • The wife of Botswana’s first president, Seretse Khama, and mother of current president, Ian Khama, was an English woman named Ruth Williams. As most people in Botswana follow their traditional pattern of life, visitors should be sensitive to customs which will inevitably be unfamiliar to them. Outside urban areas and safari destinations, people may well not be used to visitors. Casual clothing is acceptable and, in urban centres, normal courtesies should be observed. Photography: Airports, official residences and defence establishments should not be photographed. Permission should be obtained to photograph local people.